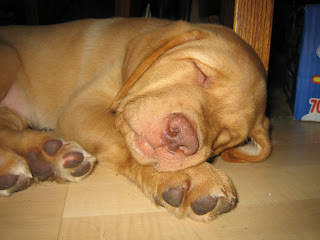 Four years ago today, Huib and I welcomed a ten week old male caramel coloured, wrinkle puppy into our home. We named him Aiden, and raised him for Autism Dog Services. Aiden grew up to become an autism assistance dog. And still continues to influence our lives. Even though things did not end up going the way we would have wanted, in terms of being told we were no longer needed as a foster family after raising Reece, I wouldn’t trade the experience for anything. Many others who follow me through Facebook and/or read this blog. I never would have guessed, that a goofy fox red Labrador retriever could affect our lives so drastically. I’m your newest follower….I raise Leader Dogs for the Blind..Looking forward to your stories.